It's been a while since I made a "Good, Better, Best" design board so I thought I'd bring you one today. Just a reminder: It's a room design that I create virtually and you implement. I'll separate the design in tiers. 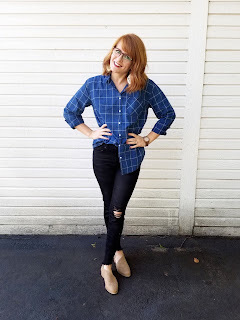 The ideas in the 'Good' level are small, easy updates you can make, thrift or buy, that your budget will barely even notice. The 'Better' category can be layered on top of that at any time and will add some more polish to the space. The 'Best' category works the same way: another layer of goodness that you can add to your design now or over time. NONE of the rooms in my house were done at once. A good design and room that makes you happy, takes time to gather and evolve. There's no rush! They moved into this house not even a year ago and there have been more important things to do PLUS the aforementioned blazing Texas heat. That's the front door on the far left, the shadow on the wall is a balcony looking facade that frames an upstairs window. You enter from the front yard through this gate and the front door is almost directly across. Its an awesome space. It just needs some love. So let me show you what I'm thinking. First things first, a new front door color! Its such an easy update for once the weather cools down when you can leave the door open for the day. Kelsey and I have already talked front door colors so I know she'll love this. 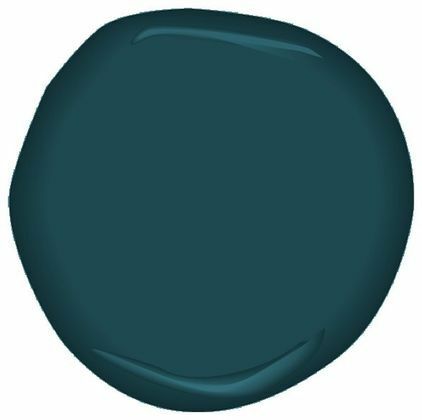 Dark Harbor by Benjamin Moore. AND she wants to paint the inside of the door too. DO IT. I love the pop of color it brings into your house. And it's so happy! Another easy thing is the arrangement of the furniture. I'd keep the bakers rack out there and just move it to a smaller wall so that its more in scale. The wall next to the gate is where I might try it. You could even spray paint it a fun color or give it a fresh coat of black. 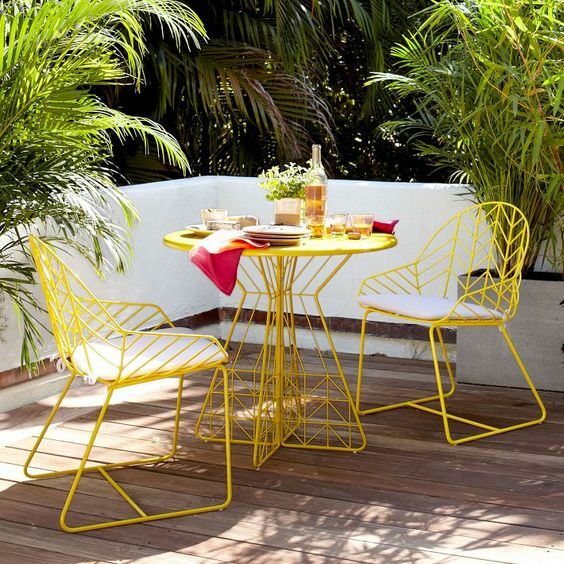 It could be staged with potted plants and metal decor and could even be a serving space for get-togethers on the patio. I can't tell by the picture but if the shelves are metal slats, you could buy a few cute plastic placemats to give yourself a sturdier table top. 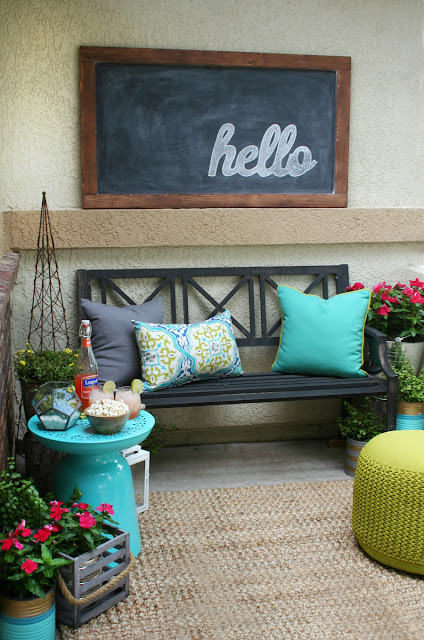 The little table that's against the window would look nice placed under the porch light, next to the front door. It could display a few potted plants, a lantern or wreath or even seasonal decor like a cute little pumpkin for fall. 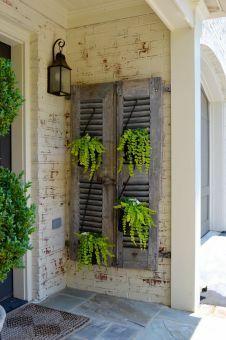 I like this idea also because the front door is a little off center from the view through the gate, so this gives a little view of charm from out in the yard. I love this 'Hello' cut out too. It's one of my favorite things to have elements of fun in a space. Something that tells people you don't take yourself too seriously. Plants! 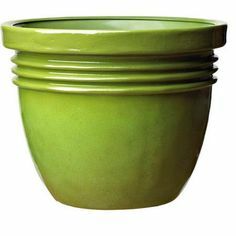 I love potted plants and in Texas my theory is 'bigger is better' not just because in Texas bigger is better but because it gets so hot, that plants in small pots can get fried REALLY quickly. We buy these awesome planters from Walmart. They come is lots of sizes and a few more colors. They look ceramic but they are that light, molded plastic making them much easier to move around or move in for the winter. We just drill some holes in the bottom for drainage and plant them. 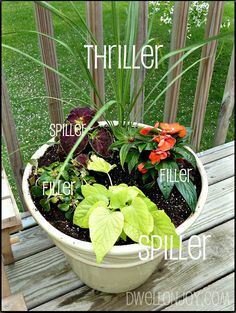 Read this article below for making pretty potted plant arrangements. Another tip: when you display your potted plants, put them in groups of 3 and try to display them at different heights for more interest. Like I said, we move ours in to the garage in the winter because they survive and because it cuts down on plants you'll have to buy the next spring. Kelsey said the rug is in ok shape, just faded so she could try painting it to give it new life. 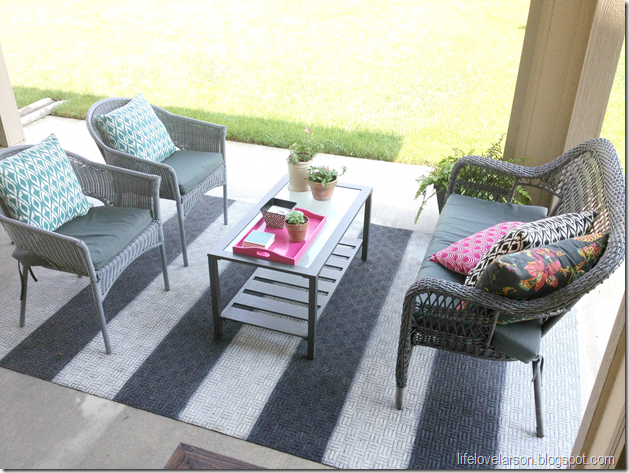 Here's a cute rug makeover and the tutorial that would help! Or, if you do decide you're ready for an update, that brings me to the 'Better' segment of this makeover. 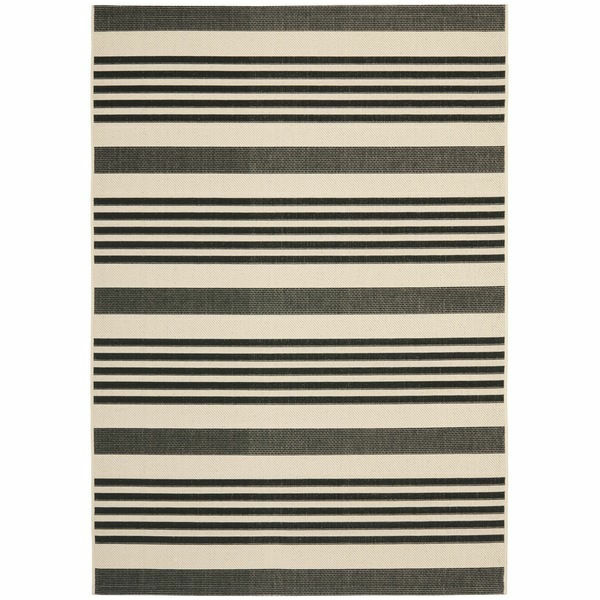 This is a great looking outdoor rug that would give you a good neutral backdrop for the pops of color coming later. Bigger is most always better when buying area rugs. The more space you fill and the more furniture that is grounded on the rug, makes a space look more cohesive. When you start rearranging, move the rug out into the center of the space. 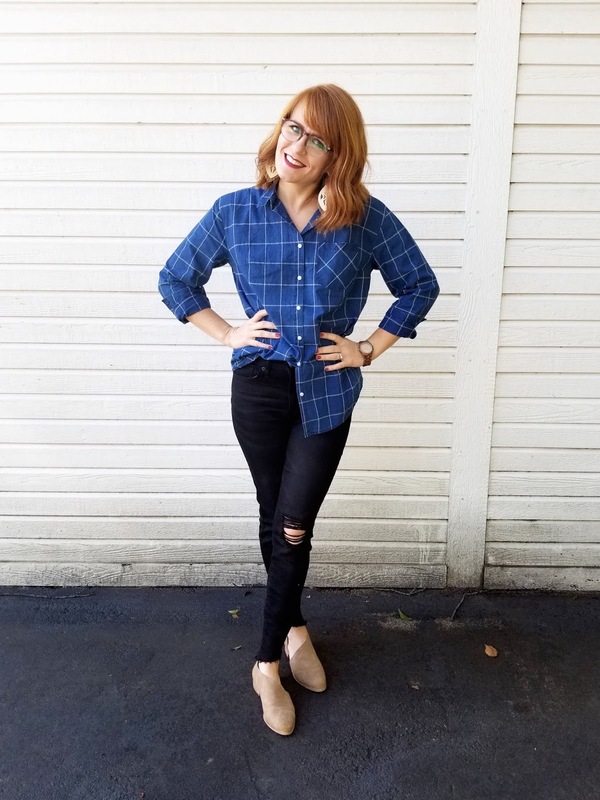 Kelsey already has great patio furniture on the back porch and wants to make the front porch more of a dining area so she's been scouring Craigslist for a round metal table and 4 matching chairs to spray paint. 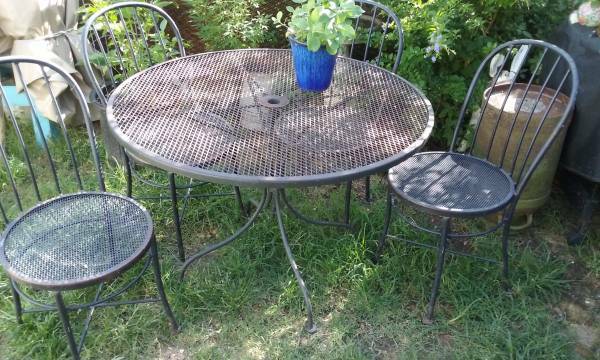 These tables are pretty easy to find but the price, location for pick up make it a little more tricky. I found this one with a quick search of Dallas postings. 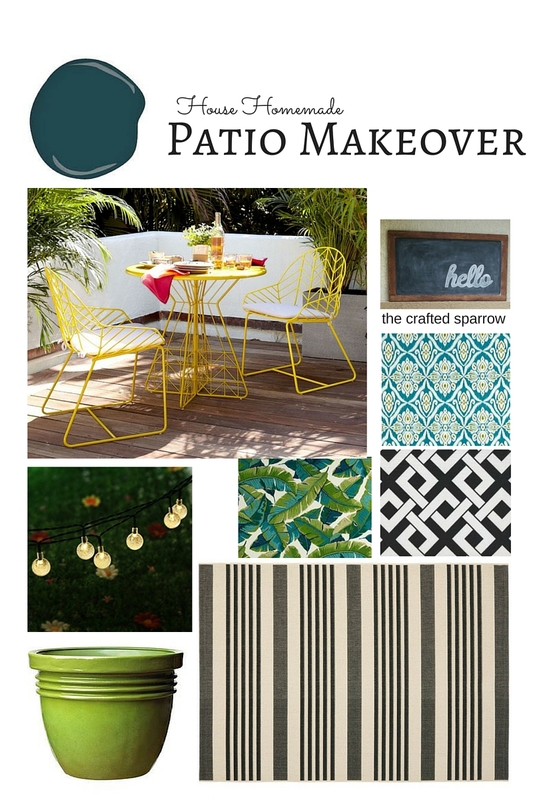 I even thought it might be fun to give it a bright makeover with this pop of yellow. 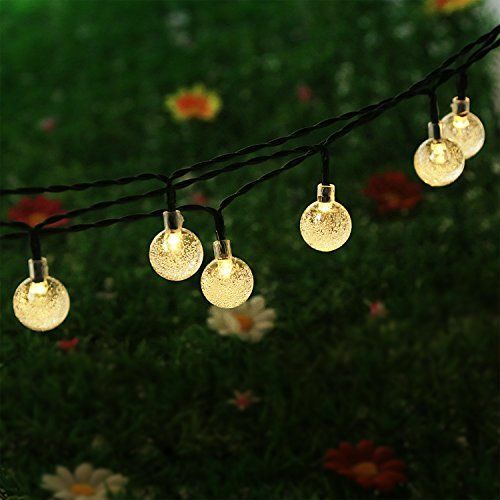 This is also a simple, cheap addition but some string lights would really help finish the space and make the patio a great, relaxing place to be on a nice night. They will have some blank walls to fill and I found some cute ways to fill the spaces and create more interest. Just because you're outside, doesn't mean you can't decorate the walls. This chalkboard art is made from plywood and 1x4's. It would look great on the wall under the little balcony and beside the door. I would make it pretty large so that it doesn't get lost on the wall. The size of the one in the picture is good or don't be afraid to go a bit bigger. Another great idea for filling wall space is to install slatted shutters or ahem, you can have our old closet doors for the same effect. I would mount them on the wall to the right of the windows. To really pull the space together, I think it would be nice to bring in some fabric. Some throw pillows on the chairs would make for an inviting place to sit. 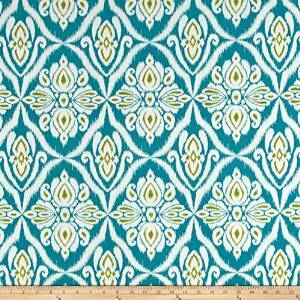 I saw this fabric and thought it would be awesome with the turquoise door. I see this banana leaf pattern in a lot of spaces lately. Love it! 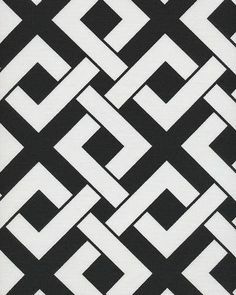 I thought this geometric print would work well with the rug and give you a little more contrast. 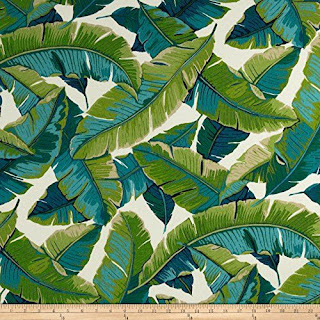 Here's a third that will pull the colors from the door and greenery together. The inside of their house is very neutral but I always think it's fun to do something unexpected outside. It can still look grown up and polished even with a more bold palate. I can't wait to see what you do with this, Kelsey! Also, when it's done and cooler, lets sit out there with some wine ok? Thanks. I used a few affiliate links. It's no extra cost to you, it just puts extra pennies literally in my pocket. Thanks for supporting House Homemade. 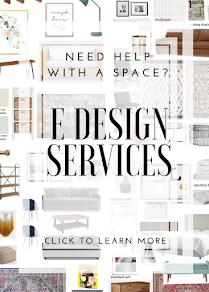 Also, if you are stuck in a decor rut and need some ideas for a specific space at your house, contact me! I'm open for business and for a fee, I'll give you all the resources you need to get started and finish with a room you'll love. If you're local and want a face to face consult, I can do that too!